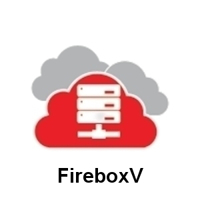 The FireboxV XLarge has a maximum of sixteen vCPUs and is ideal for a user base of up to 1,500. It comes with one year Standard Support as a minimum. Additional security subscriptions can be added indivually or choose the Basic or Total Security Suite. Trade In any manufacturer's security product to a FireboxV XLarge with 3-yr Total Security Suite including WebBlocker, Application Control, spamBlocker, Gateway AntiVirus, Network Discovery, IPS, Reputation Enabled Defence, Data Loss Prevention (DLP), Dimension Command, APT Blocker, DNSWatch, Threat Detection and Response, and Gold Support. Trade In any manufacturer's security product to aWatchGuard FireboxV XLarge with 3-yr Basic Security Suite including including WebBlocker, Application Control, spamBlocker, Gateway AntiVirus, Network Discovery, IPS, Reputation Enabled Defence, Standard Support. WatchGuard FireboxV XLarge with 3-yr Total Security Suite including WebBlocker, Application Control, spamBlocker, Gateway AntiVirus, Network Discovery, IPS, Reputation Enabled Defence, Data Loss Prevention (DLP), Dimension Command, APT Blocker, DNSWatch, Threat Detection and Response, and Gold Support. WatchGuard FireboxV XLarge with 3-yr Basic Security Suite including including WebBlocker, Application Control, spamBlocker, Gateway AntiVirus, Network Discovery, IPS, Reputation Enabled Defence, Standard Support. FireboxV XLarge with unlimited 24/7 technical support and software updates for 3 years. Trade Up your old WatchGuard virtual or physical appliance to a FireboxV XLarge with 3-yr Total Security Suite including WebBlocker, Application Control, spamBlocker, Gateway AntiVirus, Network Discovery, IPS, Reputation Enabled Defence, Data Loss Prevention (DLP), Dimension Command, APT Blocker, DNSWatch, Threat Detection and Response, and Gold Support. Trade Up your old WatchGuard virtual or physical appliance to aWatchGuard FireboxV XLarge with 3-yr Basic Security Suite including including WebBlocker, Application Control, spamBlocker, Gateway AntiVirus, Network Discovery, IPS, Reputation Enabled Defence, Standard Support. WatchGuard FireboxV XLarge with 1-yr Total Security Suite including WebBlocker, Application Control, spamBlocker, Gateway AntiVirus, Network Discovery, IPS, Reputation Enabled Defence, Data Loss Prevention (DLP), Dimension Command, APT Blocker, DNSWatch, Threat Detection and Response, and Gold Support. Trade Up your old WatchGuard virtual or physical appliance to a FireboxV XLarge with 1-yr Total Security Suite including WebBlocker, Application Control, spamBlocker, Gateway AntiVirus, Network Discovery, IPS, Reputation Enabled Defence, Data Loss Prevention (DLP), Dimension Command, APT Blocker, DNSWatch, Threat Detection and Response, and Gold Support. WatchGuard FireboxV XLarge with 1-yr Basic Security Suite including including WebBlocker, Application Control, spamBlocker, Gateway AntiVirus, Network Discovery, IPS, Reputation Enabled Defence, Standard Support.